Apartment in Palermo Soho, Buenos Aires - Sky High I ! High end and high rise 775 square feet Penthouse loft with amazing views, well equipped gym, large pool and sundeck in Palermo Soho. On the ground floor, the open plan kitchen, with its minimalist feel comes fully equipped with everything you might need. 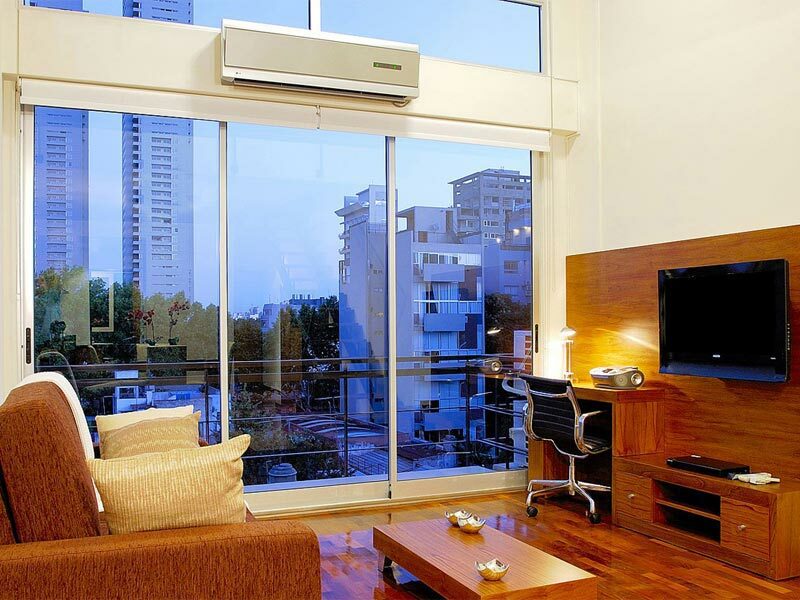 The living area features a 32’’ screen TV, comfortable seating and provides access to the balcony, with panoramic views. The large glazed windows make this a light filled room from dawn to dusk.